3 – Spencer discovers a secret about his parents – they once also belonged to this organization. This teen spy novel has a great, fun premise – what kid doesn’t dream about being a secret agent? But I must say, this book had me at the lead character’s voice. So fantastic! The author superbly captures a teen boy’s thoughts and words, with the perfect blend of wit, sarcasm and coolness. Really one of the best voices for a boy that I’ve come across. If your child likes the Percy Jackson series they’ll probably enjoy Raymond Arroyo’s action-packed Will Wilder books. 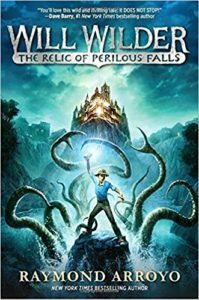 The Relic of Perilous Falls is the first book in this series about Will Wilder, a young boy with unique gifts. 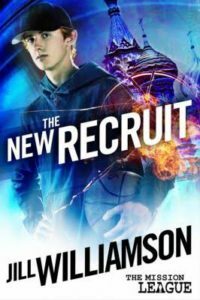 Will doesn’t realize he has special powers but when he accidentally unleashes some demons in his hometown he learns that there is a secret society of believers that all have special powers to keep people safe from the dark side. There are many unique characters in this book that add a fun element – Will’s Aunt, friends, siblings and parents all help to make this story fast moving and enjoyable. The kids from St. Michael the Archangel Academy are on to their next mission – saving The Statue of Liberty. These books by Andrea Jo Rodgers are such a delight and are perfect for older elementary students. I love the adventure, the friendships, the patriotism, and the bits of history that surround these fun stories. This series of books reminds me of The Magic Treehouse books my children used to read. 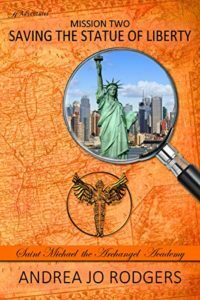 Through some fantastical unknown ways, the kids of Team Liberty are able to transport to historical monuments and save them from the mischievous and villainous ways of Team Mischief. These books are such a fun way to learn about history and national monuments and would make a supplement to American history lessons. In a short few months, his father has deserted the family and a car accident has left Rick crippled and destroyed his future. Now he’s stuck at home with an annoying little brother, a depressed mother and nothing to do but play video games. Author Andrew Klavan is a well-known, best-selling, Christian YA author. I can certainly understand why. Mindwar is one fast-paced, adrenaline inducing, action-packed thrill ride. 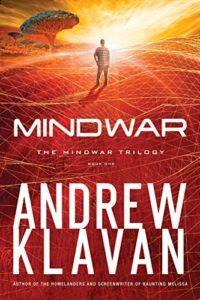 This novel is part secret-agent thriller, part sci-fi adventure, and is the first book in the Mindwar trilogy. While this is not a book that I normally would have picked up, I must say, I did enjoy it. The Christian themes are more subtle than in many Christian and Catholic novels, but that could appeal to some readers. I did like that Rick turned to God when he was in need and realized the importance of family. Wow. If you’re about to read this book – hold on for a wild ride. This was such a fast-paced, edge of your seat, page-turner. In case, you hadn’t figured it out yet – I loved this book. 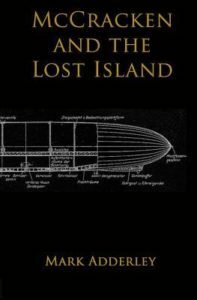 I’ve read one other book by Mr. Klavan, and enjoyed it as well, but this one was fantastic. A great main character, who tries really hard to always do what is right. But when teen, Charlie West, wakes up strapped to a chair, bloodied and bruised, with no idea how he got there, well, you’re just going to have to read the book to find out more. 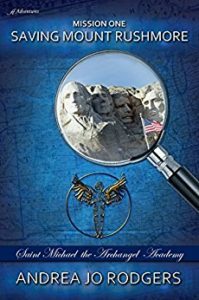 This is the first in a series that if you enjoy mystery adventures, you will get through quickly. This book was mainly about Charlie trying to figure out what happened to him, as he thinks back to the last day he remembers, we learn more about him, his family, the girl he has a crush on, and a troubled friend. The flashbacks work perfectly and the action keeps the story moving quickly. Great Christian teen fiction. I’m not sure I’ve ever read anything quite like this debut novel before. This young author combines a creative storyline, Catholic theology, and mental illness into an interesting and compelling story. There is a lot going on in this book – humorous moments, witty dialogue, exciting escapes, dastardly villains, virtuous heroes, and an abundance of faith. In ways, this reminded me of a melodrama play with some over the top moments and quirky incidents. There were moments I wanted to jump in and participate with a YAY, BOO, HISS, or AWW. And then, on top of all that, there is a surprising element of this book – a very powerful message. Ms. Gracia did a great job of drawing the reader into this futuristic story from the very first page. Prisoners of War is told through the alternating perspectives of Matt, Tara and Age. These young teens are all, in their own ways, strong, smart, and able to fend for themselves. I also loved how the characters had a deep faith and prayed throughout the story. You can tell this author loves her faith and wants to share it with the world. She included several facts about saints and concepts of theology that were fascinating and could make for some great discussion topics. All that being said, the heart of this story is the mental health perspective. The author, as well as, the character of Tara, suffers from OCD. This is a term we hear thrown around a lot, but most people probably don’t really know much about it. This book does a wonderful job of showing the reader how difficult it is to live with this condition. The first chapter from Tara’s perspective, Chapter 3, blew me away. To see the daily struggles of this character as she tried to just make it through her day at school, was eye-opening. One paragraph, in particular, jumped out at me. The author actually came up with the idea for this story as she was dealing with her own OCD during high school. What an incredible way to deal with adversity, to put the pain and struggles on paper and share it with others. 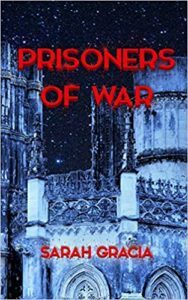 Prisoners of War is a first novel. Writing a whole book is not easy, and I’m quite impressed with any young person who accomplishes this task. I hope Ms. Gracia will continue to hone her craft and deliver many more intriguing books in the future. I’m impressed with the strength of this young author to share so much of herself through this story, and I think this book has the potential to give inspiration to other young people who are facing struggles of their own. This fun, Christian, middle-grade, adventure is the first book in a series about a young teen named Tyler. 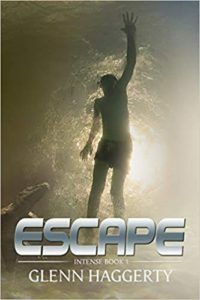 Escape is actually more of a short prequel to the series, but it is a great book on its own. This is a fast read, jam-packed with action. Which might be a problem if you’re hoping for a book that will take a while for your kids to read because they will get through this one quickly. But, they will most likely want to immediately read Tyler’s next adventure. Younger boys, especially will enjoy the story of thirteen-year-old Tyler. Tyler has made some bad decisions lately that have caused a lot of problems. But nothing compares to the danger he finds himself in on this particular day. While I love the adventure aspects, my favorite part of this book is the Christian messages. 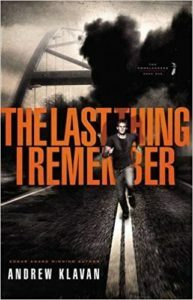 As Tyler fights for his life, his friendships, and his reputation, he begins to clearly see the bad choices he made. The lessons he learns are powerful reminders for everyone about telling the truth, being a good friend, and the importance of a loving family.